"My idea of education is to unsettle the minds of the young and inflame their intellects." The department has been existing since the inception of the institute. The department has four wings Mathematics, Physics, Chemistry and English. The courses taught at the first year level provide the basic foundation for the budding engineers to excel in the core engineering departments. The department also strongly believes that sound and application-oriented knowledge is crucial and in fact, a pre-requisite for the study of any branch of Engineering. Our asset is a strong, dedicated and well-experienced faculty who constantly strive towards all round development of the students with their excellent co-ordination in carrying out the academic responsibilities. The department is also equipped with state of the art laboratories in Physics, Chemistry and English to strengthen practical knowledge of the students. Students are encouraged to participate in different activities like paper presentations, seminars, quizzes and also clubs like English club, Astronomy club, Dance club and Foreign languages training etc. We, the Basic Science department, work tirelessly with the above spirit in our minds. Faculty in the department are heavily involved in providing classes and training activities for graduate and employment of students. The department fulfills all missions of the institution, i.e., research, teaching, training and service. The courses in Basic Science, taught mostly at the first year level, provide a solid foundation for all the Engineering disciplines. The department strongly believes that a sound and application-oriented knowledge in Basic Science is crucial and in fact, a pre-requisite for the study of any Engineering. The Message of the department centres around this idea and spreads in all possible dimensions. The Department of Basic Sciences does not offer degrees.You're ready and willing to take on challenges and change the world. As a freshman at Vishnu, you'll explore Basic Sciences and Humanities offers coherent and well-designed program curricula to provide in depth-knowledge to students interested in the mathematical, physical, chemical and environmental sciences . 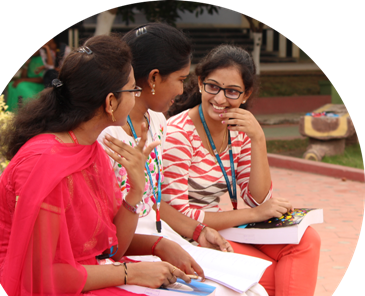 It is committed to furnish quality education through an inherent assortment of major courses.